As our businesses grow, it’s important to focus on tasks we really enjoy doing and less on the tasks that just seem to get in the way. 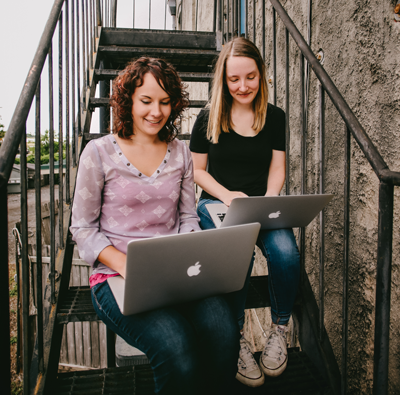 As a designer, working with a developer is a great way to free up a ton of time for design. But getting ready for your first collaboration can take a lot of work and preparation. It can even be a little intimidating! In this weeks’s episode, we’re going to go over some tips to make sure your first (or next) developer collaboration goes nice and smoothly. The first thing you want to do when working with a developer is to set clear expectations. 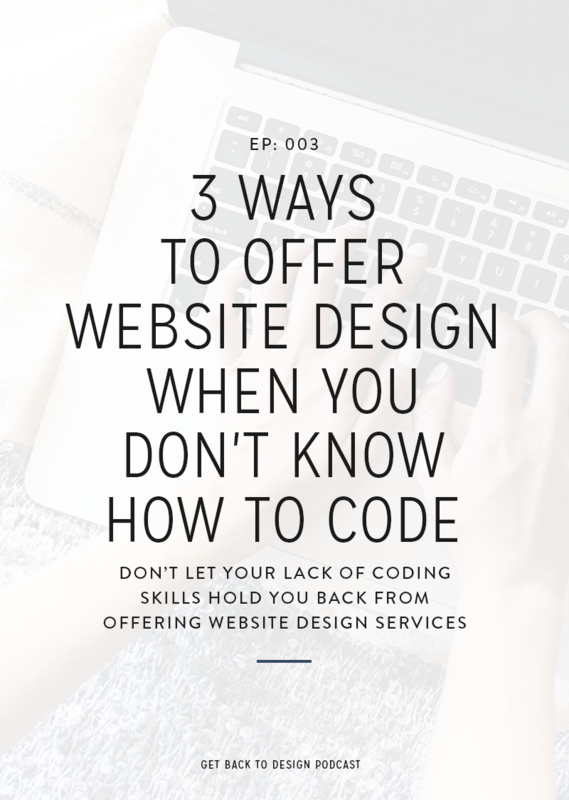 Some things that might come to mind are things like when the project should be completed and the fact that the website should look like your mockups, but there are a few other things to note. How quickly do you want your developer to respond throughout the project? This pertains both to answering questions you have and updating you on their progress, when necessary. Similarly, how quickly are you going to respond to your developer if they have a question? 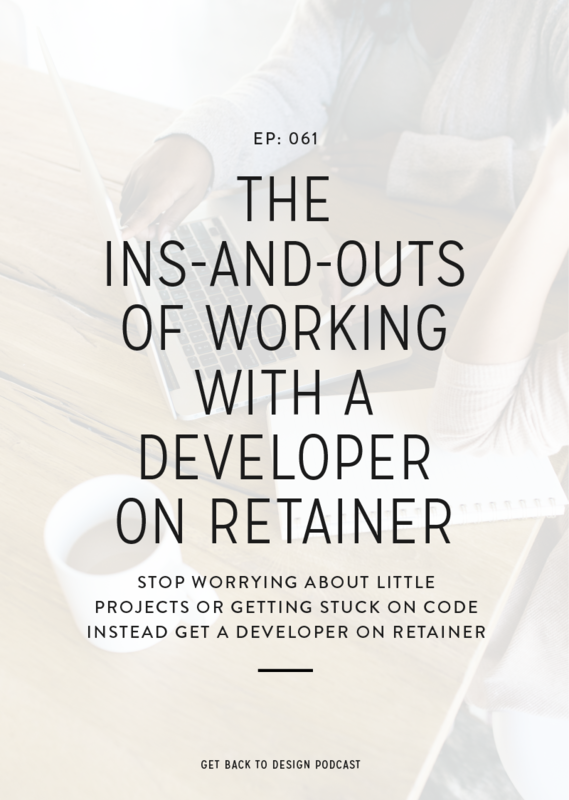 Sometimes, waiting on answers can leave your developer at a total standstill, causing the project to fall behind schedule. Talk about response time before starting the project, as well as deciding where communication will take place to keep things nice and organized. You’ll also need to decide who will communicate with your client through different phases of your project. 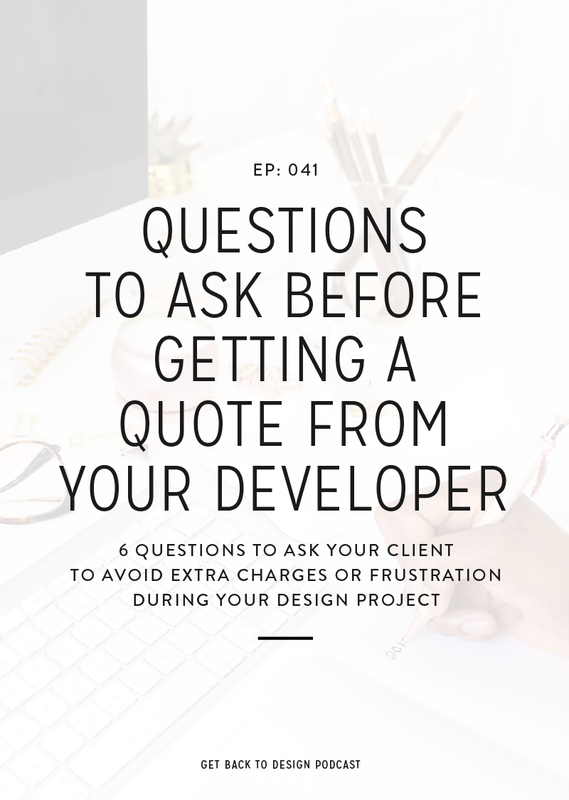 Will you communicate with your client throughout the entire project or will your developer take over once your work is done? Some developers want you in charge throughout the whole project, so keep that in mind when deciding who you’re going to partner with. Also decide how you’ll transfer information back and forth between your client and developer to keep things organized without losing information. Last, be clear about who will be responsible for training and maintenance once the website is complete. Do you expect your developer to provide training videos? What about offering a support period? You don’t want to get to the end of a project and learn that things aren’t going to work quite how you expected, so be sure to chat with your developer about this before your next project starts. Having a smooth transition from design to development can be the main deciding factor of whether or not a project stays on track. Delivering the right content to your developer on time and in the correct format will make a huge difference. For mockups, start by thinking about how your mockups are delivered. This plays a huge part in how closely the finished website will match your vision. You want to deliver mockups that look exactly like the final website you want, not just wireframes. Remember, your developer does coding because they don’t specialize in design. Also pay attention to what software you’re using to deliver mockups. You don’t want to finish everything in Illustrator and then find out that your developer doesn’t use it. Also consider the client’s actual content. If you don’t require content for design, you can guarantee your developer will need it to avoid having to redo work once they’re done. Communication is another big thing that will decide how smoothly a collaborative project goes. First, it’s important to be as clear as possible both in your mockups and in the way you explain things. Be sure absolutely every piece of important information is passed on to your developer. That way, you can avoid the client saying they told you something and the developer claiming they knew nothing about it. To make communication go nice and smoothly, consider having a Google doc with important notes from your client. You can also do things like having a Slack channel where you can keep a running list of notes or even copy your developer onto emails with your clients (if it’s okay with them). Exactly what you do will depend on the preferences of you and your developer, but experiment to find what will work best for both of you. This next one might seem obvious, but it’s important that you know how websites work. Web is far different than print, so a basic understanding of the differences will ensure that your designs translate to web without performance, display, and responsiveness issues. If you run into questions or consider designing something a little out of the ordinary, check with your developer to make sure it’s doable. When you get a quote for a project from a developer, they have certain features in mind. For example, a lot of standard quotes won’t include things like e-commerce, sliders, or image galleries because they take extra time to complete. If you show your client a mockup, have them approve it, and then go to your developer with something that wasn’t originally included, it will lead to a less-than-ideal situation. 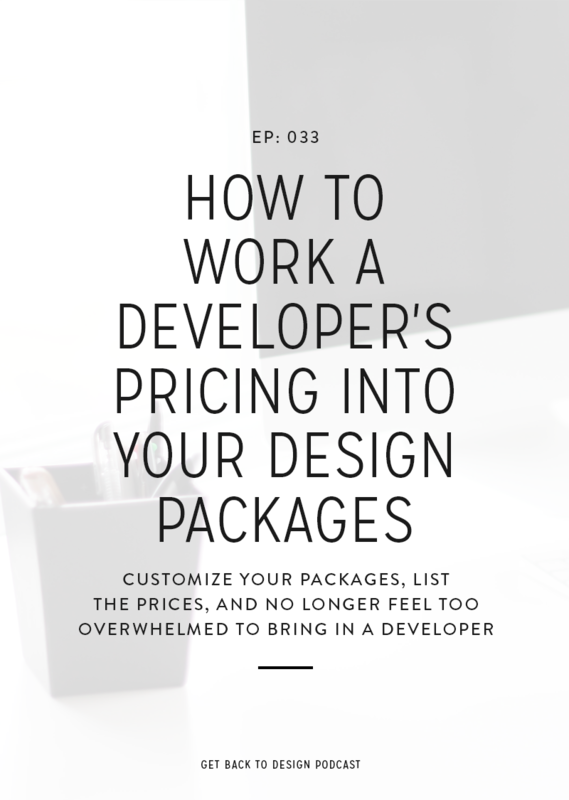 At that point, you’ll either need to charge your client more than quoted, remove something they were excited about, or cover the additional costs yourself. You can avoid this by showing your developer your mockups before showing your clients. That way, anything not included can be removed before your client gets excited.